Even if you are some aficionados of the genre, I'm sure the title and description of the book might mislead you. 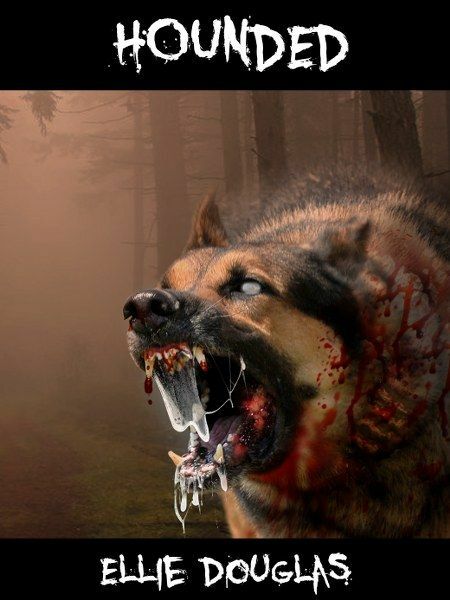 Dogs ... zombie dogs (don’t think that I gave you a spoiler, it is written everywhere) – a little odd you could say. Now, don’t be such stick in the mud. The madness had to start from somewhere. And if you’ll have a bit of patience and you’ll not roll your eyes, you’ll have a little surprise. How nice it will be... only depends on you. As I already told you, the writer does not waste time at all. You will not get bored by dull intros or anything that will cause you yawning. Action, baby! That's what you want, isn’t it? Violence? Graphic descriptions? The implacability of destiny? The destruction of civilization? The zombie Apocalypse? You will have them all, without imposture and without hypocrisy. 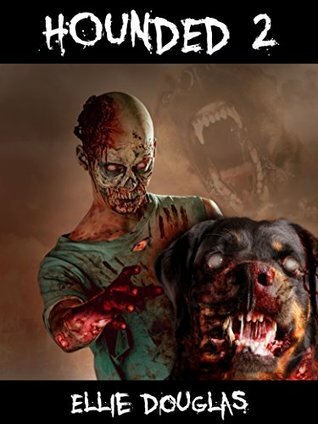 So, if you are a fan of soft core zombie stories (sounds bad, right? ), you should try other books! Hounded is not for you. Or who knows, maybe you will like it. Come on, stop fooling around! Try it! Reading is safe! Enough, no point in boring you with my chatting! Words are useless. A new approach, a new thrill… zombie fans, this is for you! Happy reading... or... Happy Thrilling! I think these books sound like interesting reads! The covers are quite scary but intriguing!